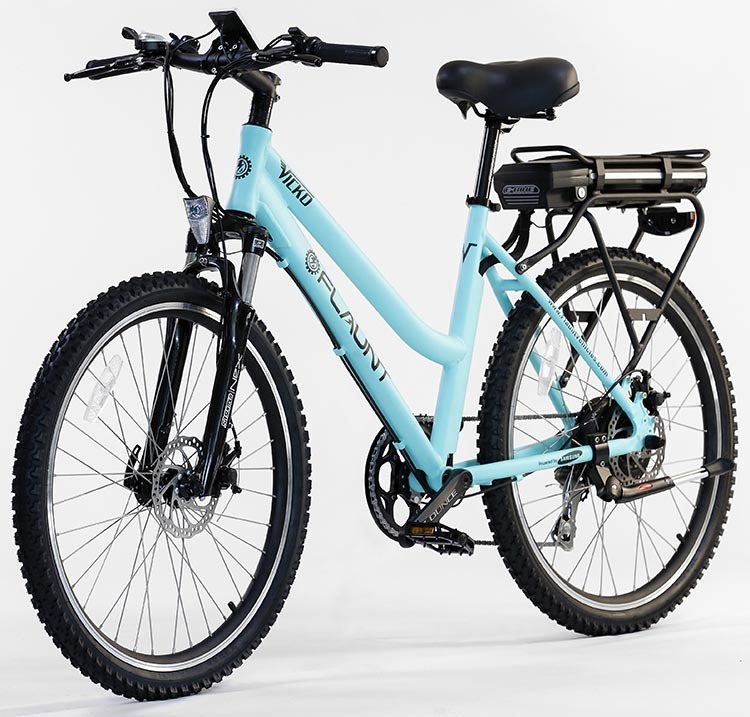 Here’s news of a brand new, affordable electric bike with great range – currently on Indiegogo, with the opportunity to snap one up at a much reduced price! This information was supplied to our Electric Bikes Blog directly from FLAUNT Electric Bicycles. The stylish looking, brand new FLAUNT ebike. FLAUNT Electric Bicycles offer over 20 features. But most importantly, they actually look like traditional bikes, travel over 40 miles on a single charge, are powered by a reliable and safe Samsung Lithium-ion battery pack, and are made of exceptionally high quality components – yet still cost less than $2k! After three years of perfecting their product, FLAUNT Electric Vehicles has released its very first top-of-the-line performance product on Indiegogo – FLAUNT Electric Bicycles. 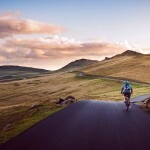 This new eBike brings together exceptionally high-quality components and market-leading aesthetics for consumers who want an eco-friendly option for commuting, leisure activities, and outdoor recreation. 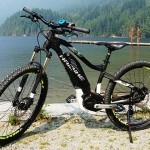 Don’t miss this Indiegogo deal – beautiful long range #ebikes for $1,350! The 35-day Indiegogo campaign gives backers the opportunity to purchase a FLAUNT Electric Bicycle for $1,350 – a $400 savings from the store price of $1,750. Plus they will receive their eBikes during the campaign, as they are already in production! This is FLAUNT Electric Bicycles’s Vicko model. It features hybrid tires, plus a slightly rounded, city-cruiser style handlebar. Check out this great video FLAUNT Electric Bicycles made! FLAUNT Electric Bicycles are designed to look and feel authentically like a regular bike. FLAUNT Electric Bicycles travel over 40 miles on a charge without pedaling. 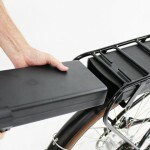 FLAUNT Electric Bicycles use a 36 Volt, 15.6 Amp Samsung lithium-ion battery pack. 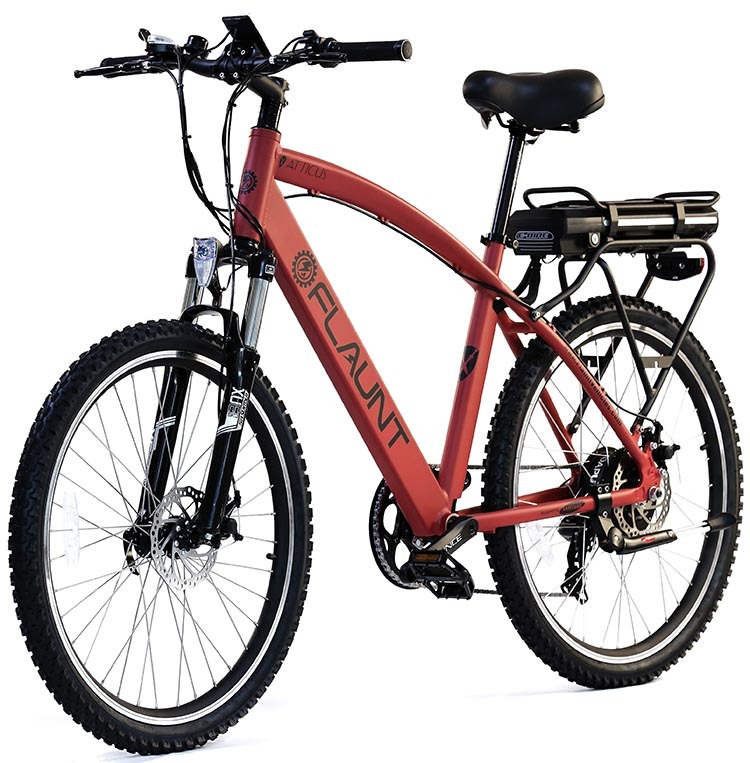 FLAUNT Electric Bicycles are built for a range of terrain and purposes. FLAUNT Electric Bicycles have a walk assist feature and six levels of pedal assist, plus throttle. FLAUNT Electric Bicycles have disk brakes on front and rear wheels. FLAUNT Electric Bicycles have seven Shimano gears. 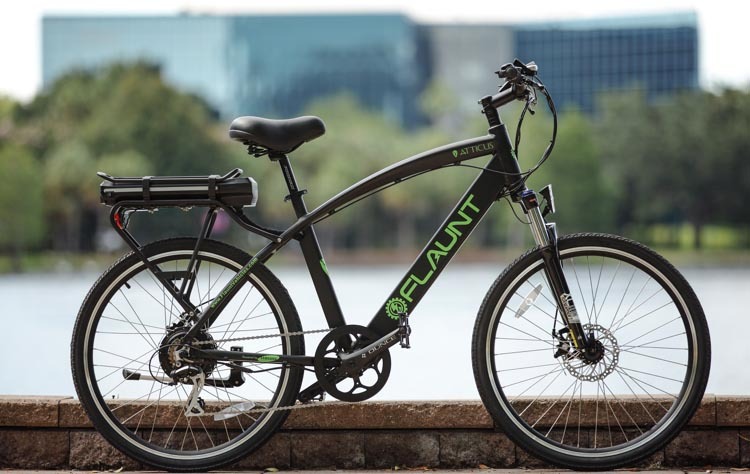 FLAUNT Electric Bicycles feature a 500 W Dapu/FLAUNT hub-drive motor. FLAUNT Electric Bicycles are made out of exceptionally high quality components, but still cost less than $2,000. FLAUNT Electric Bicycles have integrated headlights and tail lights. FLAUNT Electric Bicycles are controlled with an LCD display created jointly by Dapu and FLAUNT. FLAUNT offers four models with different frames and handlebars, and offersboth on-road and off-road tire options. This is FLAUNT Electric Bicycles’s Atticus model. The frame measurements on the Atticus are approximately 1” greater than those of the Vicko (height and length). We would appreciate it very much if you would SHARE this post with others (using the Share buttons) or LIKE our Facebook page. Or just click on one of the Amazon links before buying from Amazon – small commissions help pay for our time! BEST OF ALL – just SUBSCRIBE to our blog! You will get a FREE DOWNLOAD of my book, How to Buy the Best Electric Bike, plus free weekly updates about our posts. Thanks in advance – reader support keeps us going and makes it all worthwhile!